The West Central Blogger: What kind of state are we leaving future generations? What kind of state are we leaving future generations? What are our hopes and dreams for Minnesota's future? What legacies are Minnesotans leaving their children and children's children? 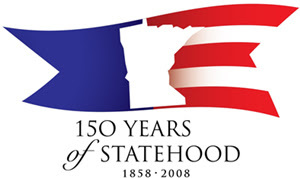 The Minnesota Sesquicentennial Commission is hosting a series of statewide forums to ask these questions and more. Called Plan for Our Future: Many Voices-One Minnesota, the community gatherings provide a snapshot of Minnesotans’ ideas for the future at the crossroads of the state's 150th year. "[The Sesquicentennial]is an opportunity to take stock of where we are as a state and set goals for ourselves to prepare for a demanding future," said Sesquicentennial Executive Director Jane Leonard. Several Plan for Our Future forums are scheduled throughout west central Minnesota. Forums have already been held in Moorhead and Elbow Lake. Visit WCI's online events calendar for locations, dates and time.